When I mentioned history in my previous post (Scottish beauty), what I was really thinking about was the castles. Scotland seems to have a million castles, and you can't visit them without learning about Scottish (and English) history. In US history, we have, at most, about 500 years of history to learn. Imagine having history (and all those names and dates) that goes back a couple of thousand years and more! I learned a lot about the early Scots clans, Bonnie Prince Charlie and the Jacobite rebellion, and King James VI, who united Scotland and England under single king. 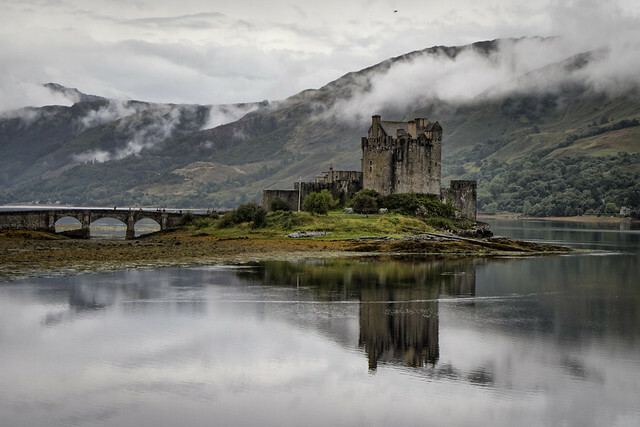 Eilean Donan Castle, above, became a stronghold of the Clan MacKenzie and their allies the Clan MacRae. In the early eighteenth century, the MacKenzies' involvement in the Jacobite rebellions led in 1719 to the castle's destruction by government ships.The castle sat in ruins until the 20th century, when it was restored by one of the clan descendants. 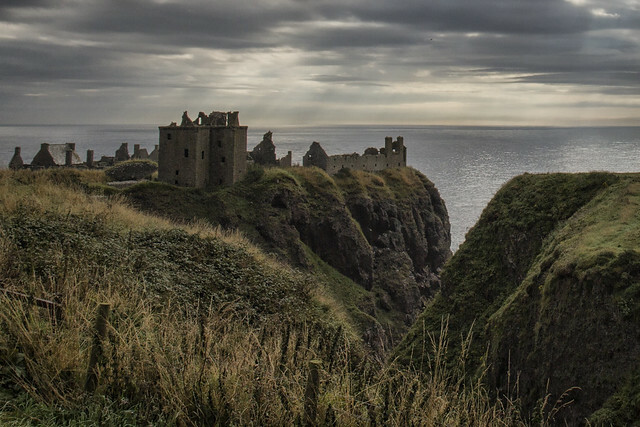 Dunnottar Castle, below, is best known as the place where the Honours of Scotland (the Scottish crown jewels) were hidden from Oliver Cromwell's invading army in the 17th century. The castle is in ruins now, but there is enough left to give you a good picture of what life was like for the Earl and his wife, as well as for those on the bottom of the heap. The Earl's bedrooms and living areas were spacious and had beautiful views overlooking the ocean. Several Scottish Kings and Queens have been crowned at Stirling Castle (below), including Mary, Queen of Scots, in 1542. 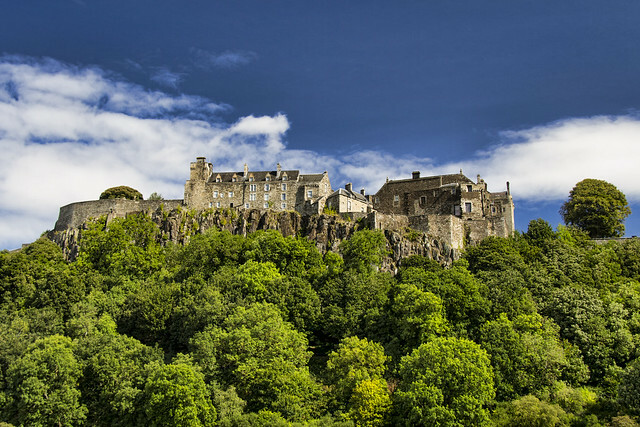 There have been at least eight sieges of Stirling Castle, with the last being in 1746, when Bonnie Prince Charlie tried, and failed, to take the castle.